Hazel M. McClain, age 72, of Sabina, passed away on Saturday September 8, 2018, at her son and daughter in-law’s home, near Sabina. Hazel was born on September 18, 1945, in Jamestown, the daughter of the late Ben and Pauline Chandler Hoover. She was preceded in death by her husband, Jerry Lee McClain, on April 10, 2006. They were married on August 29, 1962. Hazel was a graduate of Greeneview High School and beautician school. 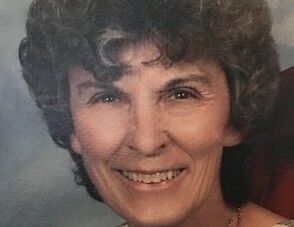 She was a member of Sabina Church of Christ. Hazel is survived by her son and daughter in-law, Christopher and Denise McClain of Sabina. Also left to cherish her memory are grandchildren: Joshua (Roxanne) and Jacob Mc Clain; 2 step granddaughters; 7 great grandchildren; sister, Elaine Maples and sister in-law, Beverly Hoover. In addition to her parents and husband, Hazel is preceded in death by brothers, Jim and Harvey, as well as a stillborn son. Memorial contributions are suggested to Community Care Hospice. Family will receive friends on Monday, September 10, 2018, from 6-8 p.m. at the Littleton Funeral Home, Sabina, where funeral services will follow on Tuesday, September 11, 2018 at 11a.m. Burial will be in the Centerville Cemetery, Lees Creek.